Creating grand design homes in a factory that are high-tech, spacious and environmentally friendly. nHouse's modernised construction process means that less time can be spent building a home which has resulted in an increased production output and therefore greater efficiency. A nHouse modular home can be constructed within 12 to 16 weeks and they have already received more than 500 sales enquiries. The company has also attained BOPAS accreditation from the Council of Mortgage Lenders to reassure home insurers and mortgage providers. The below content is from social media taken from external sites and is not representative of the views of businessagent.com or nHouse. Vaboo is a customisable perks and engagement platform for the private rented sector. The platform allows clients to enhance their brand image and add value to their service through engaging communication, giveaways, and prize draws, designed to attract customers to the platform on a regular basis. 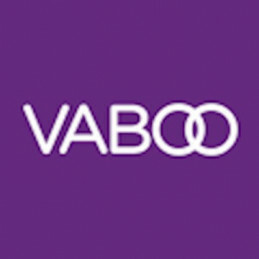 Addressing core problems of the sector, Vaboo not only helps clients built their brand value, it also offers them a competitive edge in the market. By April 2019, 350+ agency branches will have brought 50,000+ renters on to the platform. Moreover, Vaboo is estimated to achieve at least a 10% market share (approx. 2000 branches) which will generate annual recurring revenues of over £4m. With the fund raised, Vaboo will focus on team expansion, product development, and sales. Arca is helping to build the market for property market risk transfer by dealing in derivatives for domestic and commercial properties. Nick Ruddell has held senior roles for the last 30 years with banks and big interdealer brokers.